Helen MacDonald. H is for Hawk. 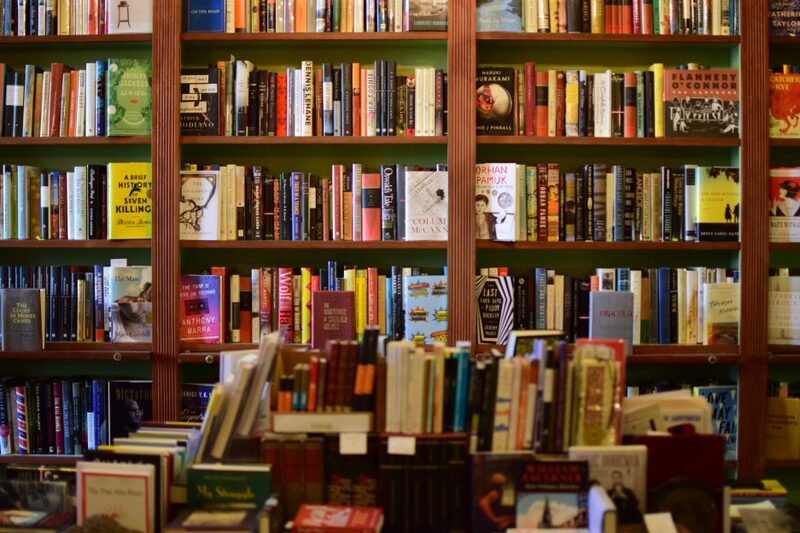 Grove Press, 2014. 26.00. All summer long a family of Mississippi Kites nested in a centuries-old Live Oak tree sprawling over shotgun houses across the corner of Octavia and Chestnut Streets. I noticed these sleek, soot-colored raptors soaring above me in the windy sky on Mother’s Day—never beating a wing—only slightly tilting their tails for direction. According to an Audubon Society field guide, adult Kites weigh about ten ounces spread across a three-foot wingspan. These silent hunters feed mostly on cicadas and flying insects, but also eat small rodents and birds. Walking the dog this summer was much more interesting than usual because I was reading Helen MacDonald’s H Is for Hawk (Grove Press, 2014), a tripartite story about the author’s love for her recently deceased father, for birds and nature, and for literature. MacDonald is a poet, historian, naturalist, and falconer. H Is for Hawk—a New York Times bestseller and winner of the UK’s Samuel Johnson Prize and Costa Book of the Year—displays her varied talents because it is not a simply a “birder” book. Rather, its many layers are inspirational for anyone familiar with grief and loss, or anyone ready for a change in life. 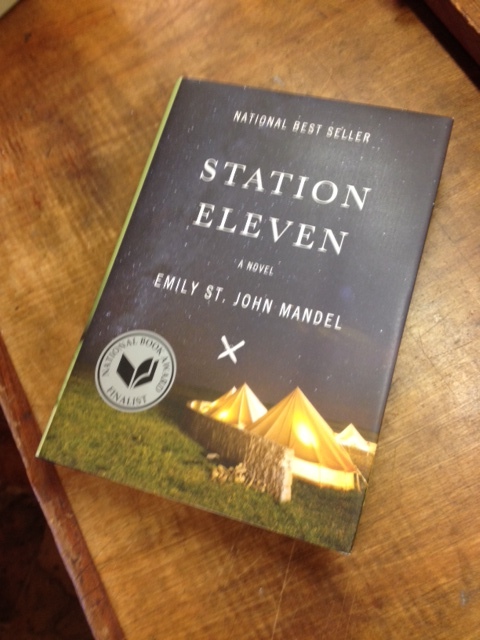 MacDonald is struggling to say goodbye to her father, a photographer, who taught her to find the memorable aspects of life’s otherwise mundane moments, and to savor them. Now that Dad was gone I was starting to see how mortality was bound up in things like that cold, arc-lit sky. How the world is full of signs and wonders that come, and go, and if you are lucky you might see them. Once, twice. Perhaps never again. They were things of death and difficulty: spooky, pale-eyed psychopaths that lived and killed in woodland thickets. Falcons were the raptors I loved: sharp-winged, bullet-heavy birds with dark eyes and an extraordinary ease in the air. I rejoiced in their aerial verve, their friendliness, their breathtaking stoops from a thousand feet, wind tearing through their wings with the sound of ripping canvas. How hearts do stop. A rabbit prostrate in a pile of leaves, clutched in eight gripping talons, the hawk mantling her wings over it, tail spread, eyes burning, nape-feathers raised in a tense and feral crouch…. The borders between life and death are somewhere in the taking of their meal…. Hunting makes you animal, but the death of an animal makes you human. What happened over the years of my expeditions as a child was a slow transformation of my landscape over time into what naturalists call a local patch, glowing with memory and meaning. Since finishing H Is for Hawk, I have noticed more amazing birds in my New Orleans “local patch”: Bald Eagles, Osprey, Cooper’s Hawks, Quaker Parrots, Red-Bellied Woodpeckers, Painted Buntings, and more. The often-mundane task of walking the dog now glows with memory and meaning. 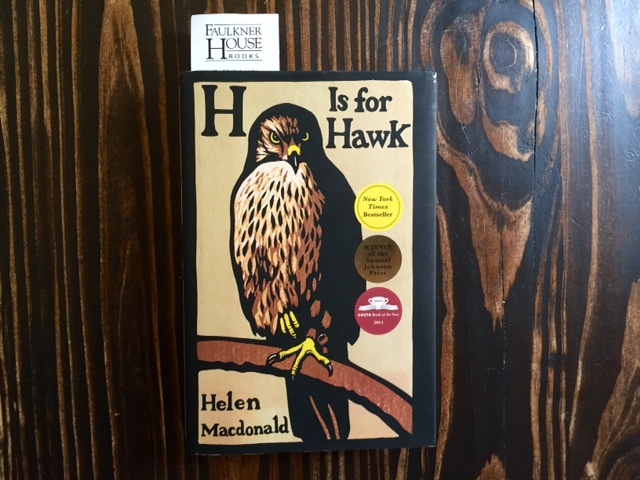 I have Helen MacDonald to thank for that, and I cannot forget H Is for Hawk—I can only recommend it.